The new mass movement known as geocaching shows that being outside is not only good for you but can also give you a lot of fun. In our country alone there are some 300,000 hidden treasures, known as caches, which are waiting to be found with the help of a GPS receiver and online clues. 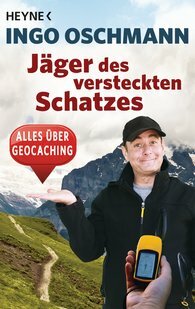 Alone, with the whole family or bowling club – no matter, the enthusiastic outdoor treasure hunter Ingo Oschmann entertainingly and clearly shows how even the biggest couch potato can turn into a true Indiana Jones.